The kangerbox is here, everything you need to start vaping with a sleek looking vape box. 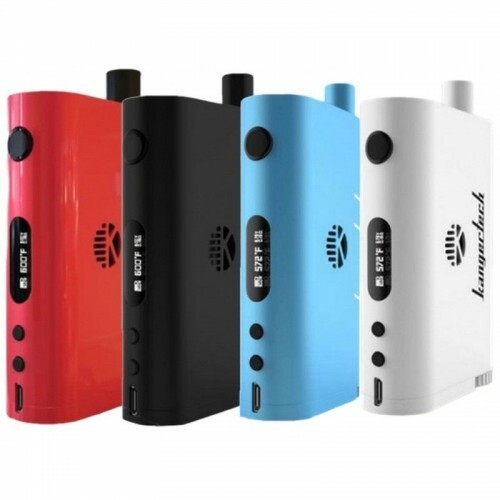 The Big Cloud Z11 Full Kit is another one of Big Name Vapes unique mods not only because its complete and ready to go out of the box but it's also a tank mod built into a box. Making the Z11 one of a kind, it also has a 60W power output, equipped with OLED display for accurate temps. USB- charger included. When you buy vape pens from us you are getting years of customer service and sales experience! Getting a full kit box mod for sale is a good way to start vaping. This liquid vaporizer is everything you need in a vape. All you have to do is add your favorite e - juice and your on your way. On the side of you liquid vaporizer for sale you will notice a couple buttons for your temperature control. You has have a bright screen so you know your temp. Underneath the screen you will see a Micro USB port for quick charging.